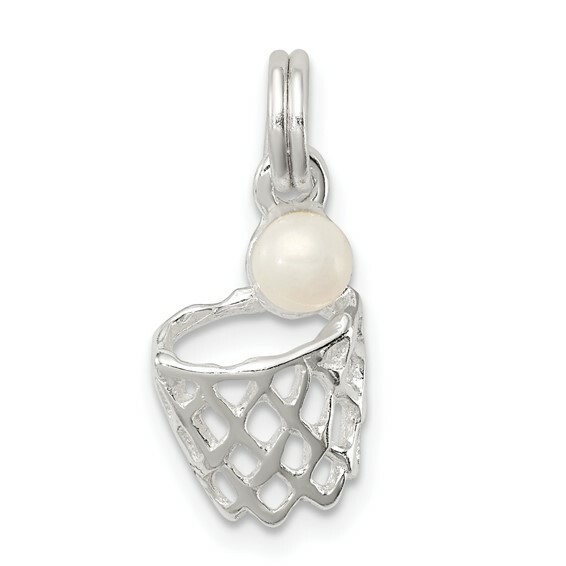 Sterling Silver Synthetic Pearl Basketball in Hoop Charm. Weight: 1 gram. Measures 1/2 inch tall by 5/16 inch wide.